Confirmation the event is booked to take place Central England in the Cotswolds at the Wyck Hill House Hotel located in Stow on the Wold by the Fosse-way. We have gained extremely good special rates for the event for Friday 11th November which are double rooms and single rooms inclusive of the Friday night dinner and banquet room and service. As I have also set out in the programme events like last year for Friday and Saturday as most stayed for the Saturday night as well I have gained the special rate again for those who opt for the two day package. I must stress due to the time of the year and the size of our party I was able to get the rates well below what they would normally charge and this I assure you is an extremely good location and Hotel for a weekend break before Christmas. Arrive pm 11th November . Meet at the Bar 6:30 7:00 pm Drinks Reception As before Red Blue and Yellow (or White) Handkerchiefs top pocket depending upon Rowcroft, Tope or Joslin. Dinner 7:30 in the Lord Rissington Suite (Overlooks theWindrushValley). Move to Bar 11:30 for those who can’t sleep! Convoy Tour of Cotswolds for those who wish to visit exceptionally attractive Cotswold Villages. Departs 10:30 First Stop – Stowon theWold Town Square. Very attractive especially interesting shops. 3rd Stop Bourton on the Water. Evening Dinner at special rate again for those who stay over. Single occupancy room for 1 night ( Friday night ) Dinner Bed and breakfast is £120.00 per person inclusive. Please remember this also includes the dinner both nights and the restaurant is exceptionally good by reputation and listing. 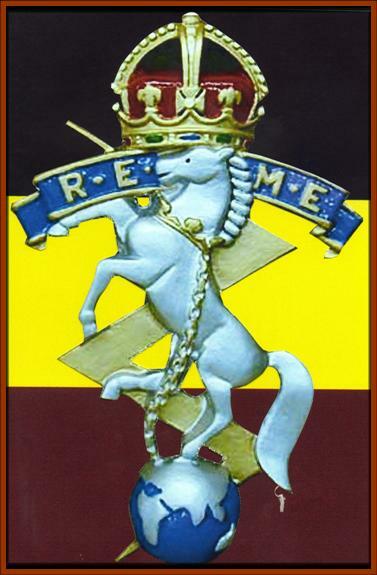 The booking reference required for guests to book these will be # 60603 REME Reunion. They will need to take a 25% deposit from guests at the time of bookings, and then full pre-payment of the weekend 1 or 2 night package 2 weeks before. Please also let everyone else you know about the re-union as we need to exceed the numbers from the first reunion. If it goes as well as last year it will be great, but it’s going to go even better of that I’m sure. I look forward to us meeting up again for a very enjoyable occasion.